for our mid-week lunch, the girls wanted to change it up a little bit. my daughter had this served at a birthday party and absolutely loved it. 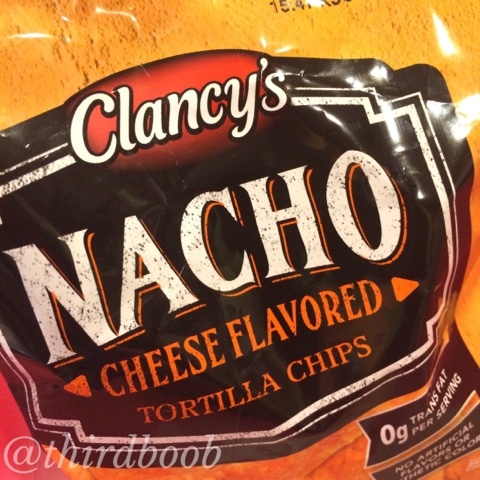 i have to admit, i tried it when they were finished preparing it and it is pretty darn good. i'm guessing your kids will love it too. 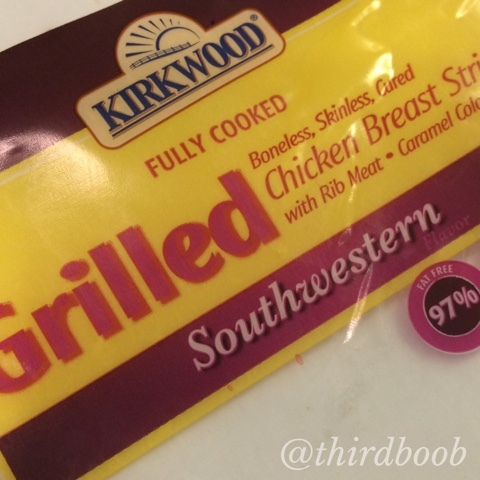 the girls started by chopping up the southwest grilled chicken into small, bite-sized pieces. they then chopped the lettuce and opened the can of olives and drained out the liquid. 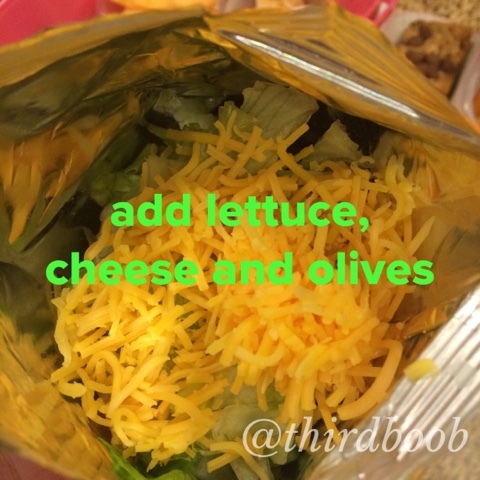 they then placed the chopped chicken in one plastic container, the cheese in another and the lettuce and olives in another. 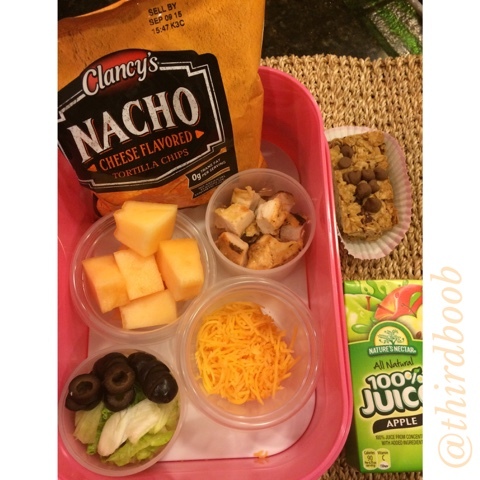 to finish off this lunch, they added some chopped fruit, a bag of nacho flavored tortilla chips, a juice box and a granola bar and lunch was ready! 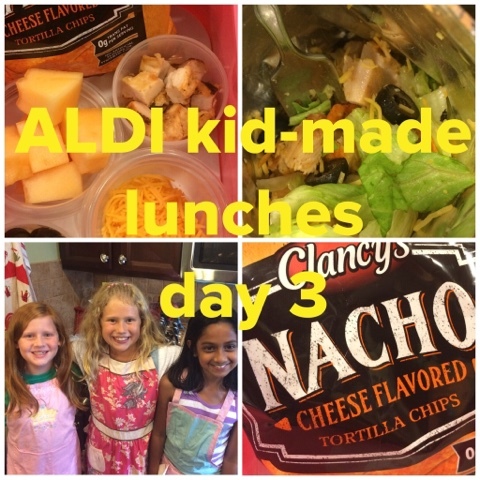 this lunch takes no time at all and the kids rave over it. 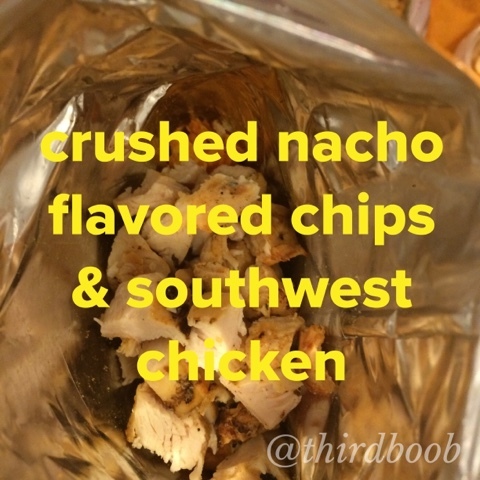 when it comes time for the kids to eat, have them crush the tortilla chips in the bag. they will need to open the bag carefully at the top. into the bag, pour the other ingredients. 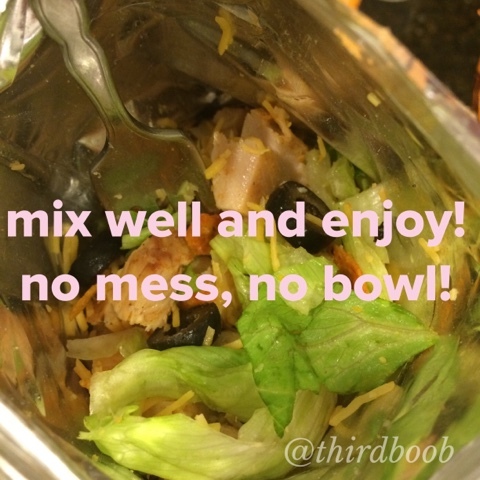 mix well and enjoy a taco salad in a bag! 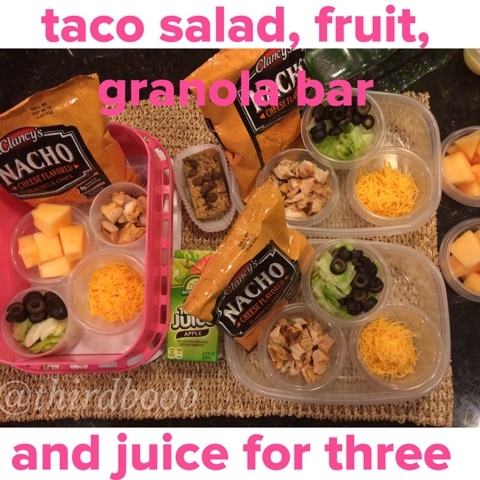 add the juice, fruit and a homemade granola bar for a snack and you are done for the day! so simple and so delicious! this recipe made enough for three lunches. it's great for all my kiddos but would be equally as wonderful for the kids to eat on more than one occasion. the ingredients will keep for days so you can even skip a day and have this meal again. enjoy! i may just have to sneak one of these little meals for myself! disclaimer: this post was sponsored by ALDI. all opinions and thoughts are our own.